Home Movies Pakistan Zara Noor Abbas Slams Body-Shamers With A Powerful Post! 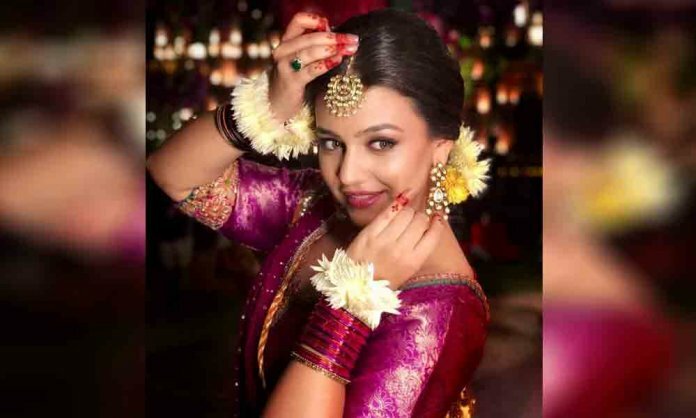 The Pakistani actress Zara Noor Abbas, who has been winning millions of hearts with her beauty, took to Instagram yesterday and posted a message for all those who indulge in body shaming. For the longest time, I have heard people telling me that I am ‘ too broad ‘ or ‘ too big’. I was told: Sizes 4 and 6 SHOULD be my friends! I should go through body transforming surgery. A very prestigious brand didn’t want to work with me because I was not ‘petite’. She added that all the means comments made her stopped liking her own self and she even started to question her existence. This disturbed me a lot on different levels but one level so loathing that I stopped liking myself wearing anything. I began to question if it was all about how I looked and not about who I am at heart or if i am talented or not. If I’d have carbs at dinner, I’d cry. If i’d have some chips to eat, people would tell to get rid of them because actresses and models dont eat. They have to look desirable. And ONLY skinny is desriable. If I had desserts, I’d hate myself later on and create an energy so negative that it effected me mentally. At the end of the post, she said that she will never change herself for what people think she should be.